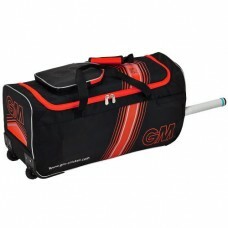 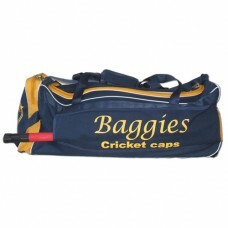 Size 75 x 25 x 30cm Wheelie bag with side bat pocket and end pocket.handles ..
Gunn and Moore 606 Wheelie Cricket Bag - Size 69cm x 26cm x 31cm - Integrated bat pocket - Zipped..
NEW - Zipped Lid Pocket 88cm x 31cm x 31cm Volume 84 Litres Integrated All Terrain Wheelie System..
Functional features, high quality materials and smart graphics make Kookaburra cricket bags an obvio.. 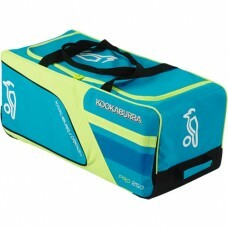 Size 80 x 30 x 30cm with 4 pockets. 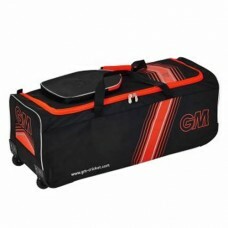 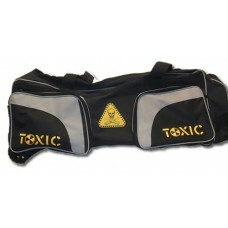 Mid size wheelie bag with side bat pocket and end s..